Below you can view all the homes for sale in the Ralston Estates subdivision located in Arvada Colorado. Listings in Ralston Estates are updated daily from data we receive from the Denver multiple listing service. To learn more about any of these homes or to receive custom notifications when a new property is listed for sale in Ralston Estates, give us a call at 720-580-6756. Located near the Ralston Creek Trail, Apex Center, the YMCA, and close to schools, dining and shopping. MLS#9579817. MB Living It Up!. Minutes from amazing Arvada parks and trails, including the Ralston Creek Trail. MLS#3100261. COLORADO REALTY GROUP. Flex room in basement and attached shed in oversized garage offer plenty of storage. Dog run for the pups. MLS#4123852. Resident Realty. 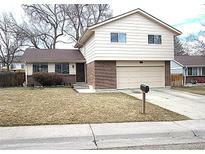 It Is A Great Neighborhood For A Growing Family MLS#5765290. Easy Street Properties. Conveniently located near stores, schools and restaurants. MLS#9246367. Keller Williams Advantage Realty LLC. Close to hiking/biking trails and community parks MLS#7960810. Keller Williams 1st Realty.